VOID reimagines JG Ballard’s cult novel Concrete Island through the lens of a black female protagonist - staged as a meshing of experimental dance and abstract glitch video landscapes. 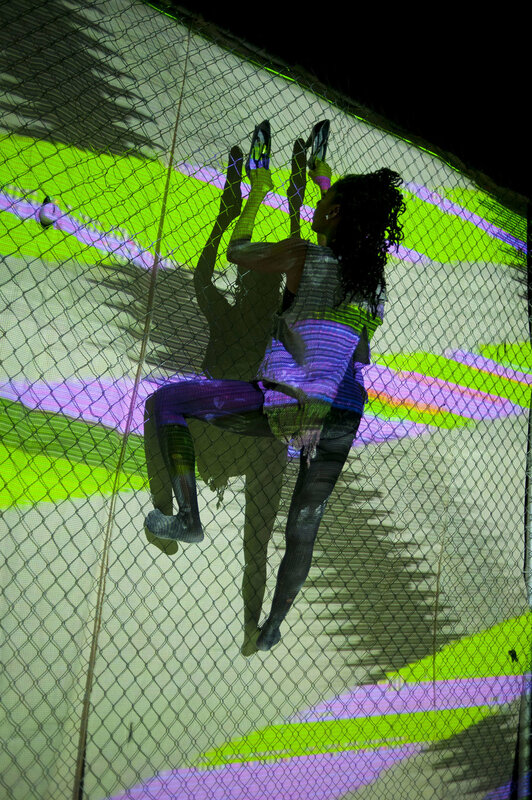 Blending typically Ballardian themes of liminal spaces and urban paranoia with contemporary theories from radical identity studies, Mele Broomes performs risk taking choreography to the backdrop of an industrial soundscape. Supported by Made in Scotland, Creative Scotland, Tramway, Citymoves, Dance Base, Dance House and The Work Room.